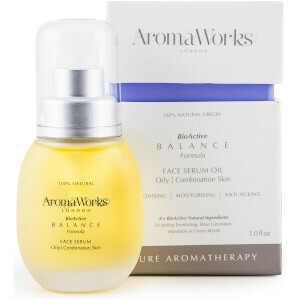 100% natural, British lifestyle brand AromaWorks is a state of mind, offering a beautiful range of skincare, bath and body care, and home fragrance that impact the olfactory system as well as the body. Pure, ethically sourced essential oils are at the heart of the collection, creating a euphoric melody of sophisticated top, middle and base notes. 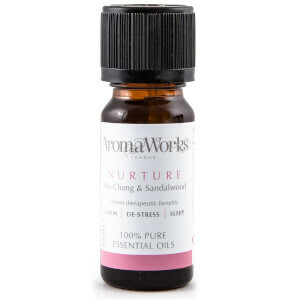 Environmentally-friendly and totally aromatherapeutic, AromaWorks is committed to British manufacturing except of course, for the exotic and natural essential oils ethically derived from faraway lands. What started as a premium line of aromatherapy candles, has now extended to skin, bath and body care for both men and women. 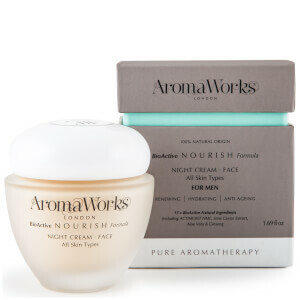 Fusing clinical effectiveness with environmentally responsible methods, AromaWorks has successfully created a luxurious range of products including skincare that minimizes the signs of aging and troubleshoot stressed skin. Enjoy pure blends of nature’s finest, from botanical extracts to extraordinary essential oils, allowing you to experience the narrative of a spa in your own home.